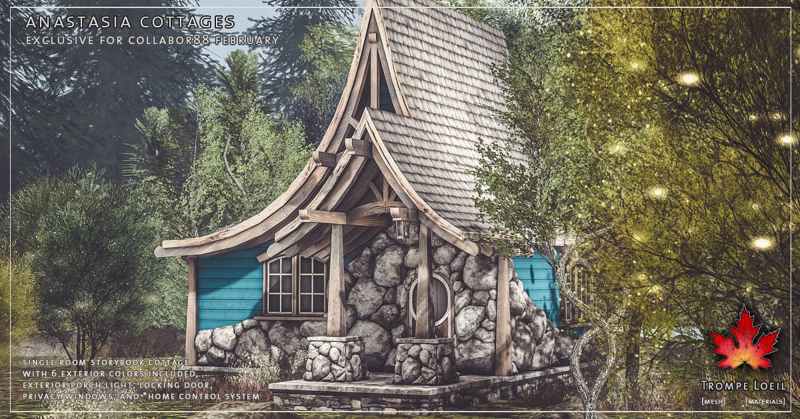 A cozy escape out of your favorite storybook – the Anastasia Cottages for Collabor88 February are bold, colorful, and a hideaway to tell a tale about! 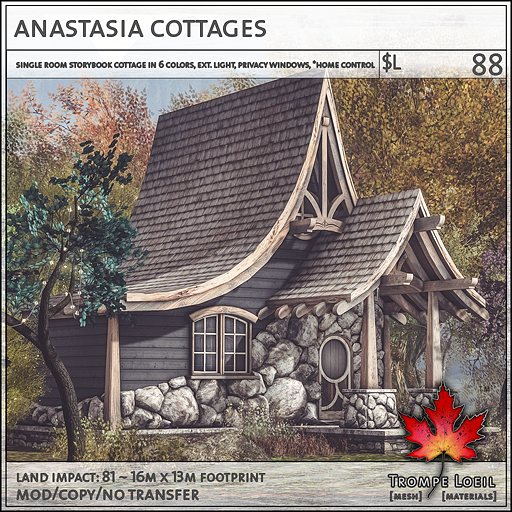 The Anastasia Cottages include 6 fantastic exterior color versions for one low C88 price, with a single-room layout, gorgeous river rock detailing, exterior porch light, privacy windows, locking door, and our *home control system. 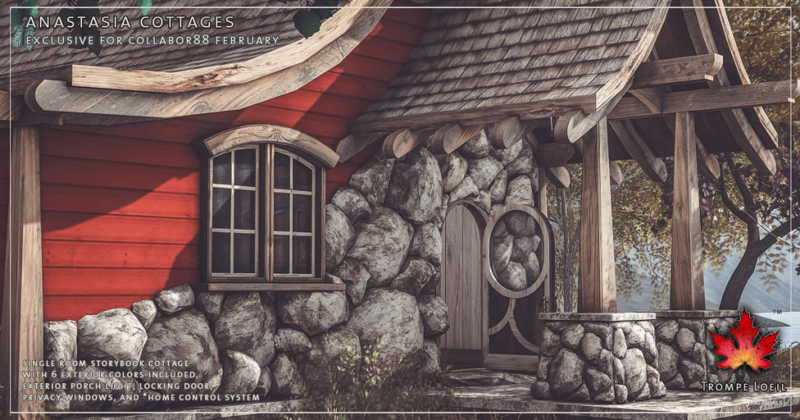 Only at Collabor88’s February round!